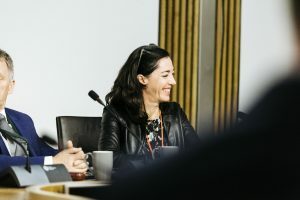 The 17th Edinburgh Ethical Finance Round Table took place at the Scottish Parliament on Wednesday 24th October 2018 during a week of ethical finance events that were anchored by the 2-day Ethical Finance 2018 conference held at the RBS Conference Centre. 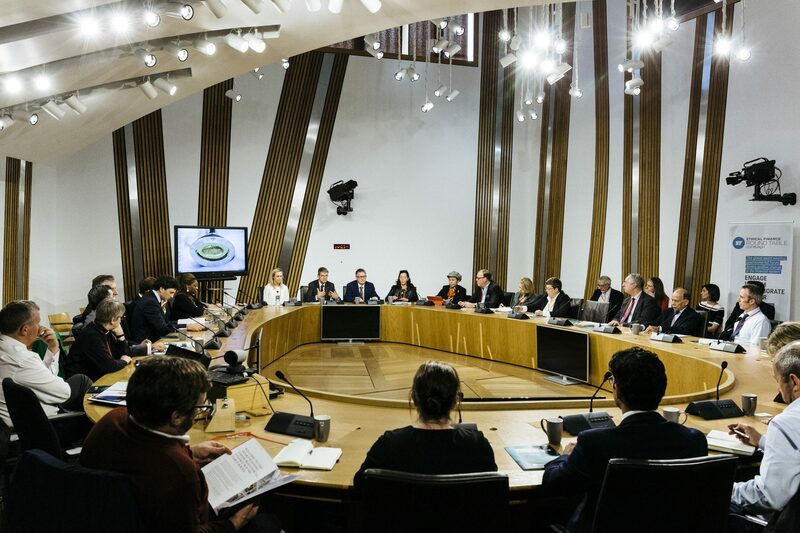 The round table began with Scottish Government host Ivan McKee the Minister for Trade, Investment and Innovation, welcoming those attending and expressing the Scottish Government’s support for the round table series and the Global Ethical Finance Initiative in general. The topic for the meeting was the implementation of the United Nations Sustainable Development Goals (SDGs) and the role of “Blended Finance” in achieving this. 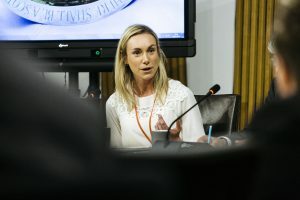 The first speaker was Gail Hurley, a Senior Advisor on Development Finance with the United Nations Development Programme (UNDP), which provides analysis of development needs and funding gaps as well as supplying support to individual countries. 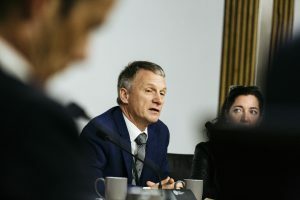 While it is commonly stated that in order to implement the SDGs by the target date of 2030 an annual spend of $2.5 trillion will be required this may in fact be understated. In any event it is clear that development aid and domestic facilities alone will be far from sufficient to achieve this, so private capital will be essential and hence the development of the concept of “Blended Finance”, i.e. mobilising development and philanthropic capital alongside private investment resources. Currently the principal areas where this is being taken up are among the “middle income” economies, notably in sub-Saharan Africa, the Caribbean and the Middle East, with the principal focus of investment being in infrastructure, renewable energy and agriculture. 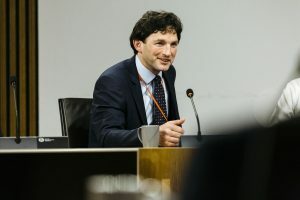 While Blended Finance is expected to continue to expand it does face significant problems – limited capacity in individual governments, limited take-up within poor countries, the complexity of the financial structures involved and the affordability of alternative and more straightforward sources of funding (notably from China). Gail concluded her presentation with an example of a recent successful project – the world’s first Tobacco Control Bond, helping farmers in Sri Lanka and Zambia to transition to other crops. The second presentation was given by Maria Teresa Zappia, the Chief Investment Officer of BlueOrchard, a leading global impact investment manager based in Geneva, which had itself been established as a result of a UN initiative. She explained that while BlueOrchard had initially specialised in microfinance projects this had expanded more recently into Blended Finance vehicles. Nine funds in all had been established in this area with five in current operation. In all it was estimated that up to 2017 $100 billion of Blended Finance had been mobilised. In their experience Blended Finance investment vehicles require to be carefully structured with the “waterfall” of preferences reflecting the needs of different investors and with the public investment always taking the “first risk” slice. In practice however, structuring the vehicles to meet the exact needs of varying investors presented many challenges. A wide-ranging discussion then followed, the first question arising being the extent to which capital can be leveraged by these techniques. 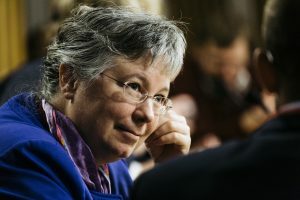 Gail Hurley indicated that, in broad terms, public funding currently generates a private capital multiple of around 2.5. In response to a further question, Maria Teresa Zappia advised that while their Blended Finance vehicles were effectively regulated via BlueOrchard’s registration in Switzerland and Luxembourg they were not listed or rated. The difficulty of incorporating assets from the poorest countries in “frontier markets” with very little financial infrastructure were also discussed. The meeting concluded with a brief outline from Jamison Ervin, also of the UNDP, of the new two year partnership programme between the UNDP, the Ethical Finance Hub, FaithInvest and Heriot-Watt University seeking to develop a pipeline of investable nature-based projects in developing economies, and in particular seeking to find ways of bridging the financial gap between the size of the individual projects involved and the requirements of the professional investment market. She was heartened by the announcement earlier in the week of the Scottish Government’s funding and support for the project.